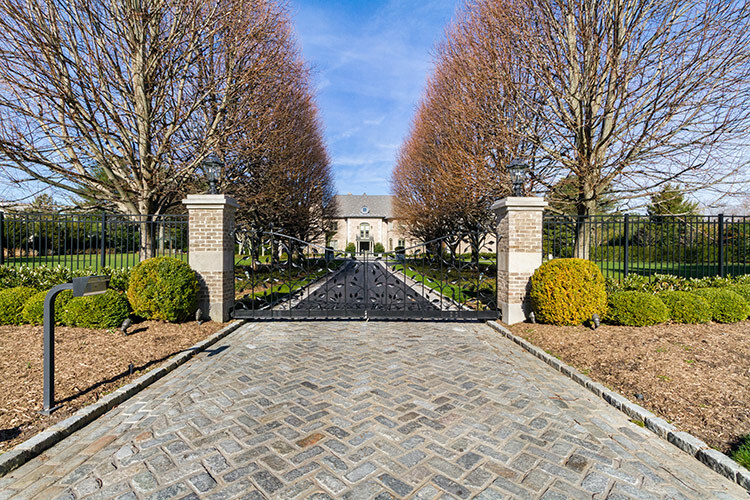 Consisting of over 200 hand forged leaves, these gates stand out by way of their non-traditional design. In addition to the leaves within the infills, we gave the steel a heavy hammered texture which added to the hand-crafted appeal of the gates. This design also employs an automated gate operator for ease of use.